It is a New Year! We wish you a New Year filled with great joy and happiness. 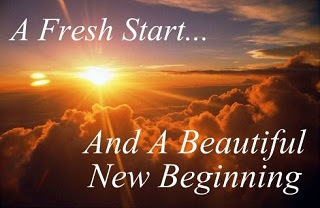 It is truly a blessing to start anew no matter what our past may have been - glory, success, joy, sorrow or pains. This newness applies not only to the physical realm, but also to the spiritual realm. God gives us a new beginning when we believe Him and accept Jesus as our Savior and Lord in the spiritual realm. It is a new relationship with the Creator God Almighty. But that is not all. God gives us several additional gifts along with this new relationship. A new citizenship, a new family, a new purpose, a new power, a new destiny, and a new journey. As the year 2017 has just ended, we want to look at the past year and review the highlights of what God has done in and through SfK Ministries. For easy reference, we have used the acronym S.F.K. M.I.N.I.S.T.R.I.E.S. SfK Ministries established its business model (equipping and empowering missional businesses) in the form of four functional groups: Missional Business (MB) Community, MB Academy, MB Fund and MB Trading. Freedom Business Alliance Forum, which was held in August in Chiang Mai, opened a new dimension to SfK Ministries, particularly in promoting the products of freedom businesses through the MB Trading arm of SfK Ministries, as discussed above. Korean counterpart of SfK Life (SfK Korea) has been established; its dedication service was held in March, its first board meeting was held in August and its seed capital for SfK Impact Fund was raised. Marketing efforts for SfK Ministries included the production of two video clips in addition to the website, the blog, the Facebook group and the newsletter. Investment in Sky Bay Thailand was successfully completed after a long process, which became the first implementing member of SfK Ministries. Praise the Lord! Newsletters for SfK Ministries was published regularly 12 times in 2017. We've been able to share interesting articles by various authors and share updates and prayer requests regularly through the circulation of our monthly newsletter. Investment activities remained sluggish due mainly to: 1) the lack of funding and also 2) the scarce availability of missional businesses that are worthy of SfK investment. SfK MBA’s 80-hour boot camp training was held four times in three cities: twice in Kigali,Rwanda, once in Los Angeles, California and once in Chiang Mai, Thailand. All received favorable evaluation and it has become a signature program of SfK Ministries. TBN Asia Conference in Jakarta, Indonesia, Lausanne Consultation on Wealth Creation for Holistic Transformation in Chiang Mai, Thailand, Youth KOSTA in Chiang Mai, Thailand, Leadership Training for Good Neighbors International in Bangkok, Thailand, IBA Leaders’ Forum and Conference in S. Korea were part of external conferences/seminars/forums where SfK Ministries was exposed. Resource development efforts in the U.S. expanded the supporter base in 2017 by 77% from the previous year. One thing to note is that all board members of SfK Life Corporation participated in making financial contribution to SfK Ministries. Even a few Kingdom Fellows serving as SfK staff made a donation. Praise the Lord for the committed board members and Kingdom Fellows! IT team continued making considerable progress in 2017, including the establishment of SfK’s web-based training platform that can also be used for video conference call. Exploratory trips to Cambodia and Laos were made in 2017, which have resulted in SfK’s expansion plan to Cambodia as one of 2018’s first priorities for geographic expansion. Shared Accounting Service or SfK SAS was established on a cloud-based platform. Its user manual has been developed and is ready for use. We honor and praise God who has enabled and empowered us to build a greater momentum in the second year of ministry in 2017. Jan. 29-Feb. 2, 2018: K-BAM Philippines. Jeffrey will participate in this event to learn and share. Please pray that it will provide inspiration and impact for the attendees. January 2018: SfK Business Plan and Strategic Plan Update. This annual planning process requires a lot of efforts, energy and coordination among stakeholders spread in several countries. Please pray that the plans will reflect God's will and guidance accurately. Feb. 9, 2018: SfK Life Board. The board will review and approve the annual business plan as well as the strategic plan update. Please pray that this board meeting will define the goals and objectives for the 2018 ministries according to God's will. Mar. 16-17, 2018: BAM Seminar and Exploratory Trip to Vietnam. Jeffrey will make an exploratory trip to Vietnam and hold a BAM Seminar. Please pray that this trip will receive God's favor and allow Jeffrey to meet people whom he needs to meet. Mar. 20, 2018: SfK Korea Board Meeting. The board will consider and make important decisions. Please pray that such decisions will be made in a way that is pleasing to God. May 29-Jun. 8, 2018: SfK MBA Irvine. Jeffrey will lead the training along with two other faculty members for up to 15 trainees about Principles and Practices of Effective BAM. Please pray that this training program will help the attendees reshape their perspectives according to God's design and learn the knowledge and skills that are necessary for the implementation. We thank you for standing with us on this journey to produce synergy for the Kingdom of God. We at SfK Ministries wish you a blessed New Year!